Battersea Cats and Dogs Home who do a fantastic job of rehoming cats and dogs held their annual reunion last weekend. This sounded like a fun day with a dog tea party, a dog show, doggie games and the popular Fancy Dress contest judged by Brix Smith-Smart. It must have been really cool seeing lots of dogs dressed up in costumes such as a Hippie, a Pirate, Princess Lea or a Doctor. Please share your doggie stories and funny pics with us. Have you ever been to one of these reunions? 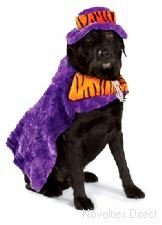 Has your cat or dog ever worn a Fancy Dress Costume or entered a fancy dress contest?